Eleanor & Park by Rainbow Rowell is a quirky romance about two star-crossed teens. Eleanor and Park could not be more different, and yet it is their differences that draw them to one another. Eleanor is the new girl. She has big red hair and wears weird clothes. Park is a part Korean punk rock and comic book fanatic. When Eleanor steps on the bus for the first time, it is Park who (albeit unwillingly) comes to her rescue and shares his seat on the bus. Through comic book and music discussions, Eleanor and Park develop a love so deep for one another that they could be compared to the famous, Romeo and Juliet (though Eleanor would probably not approve of the comparison). 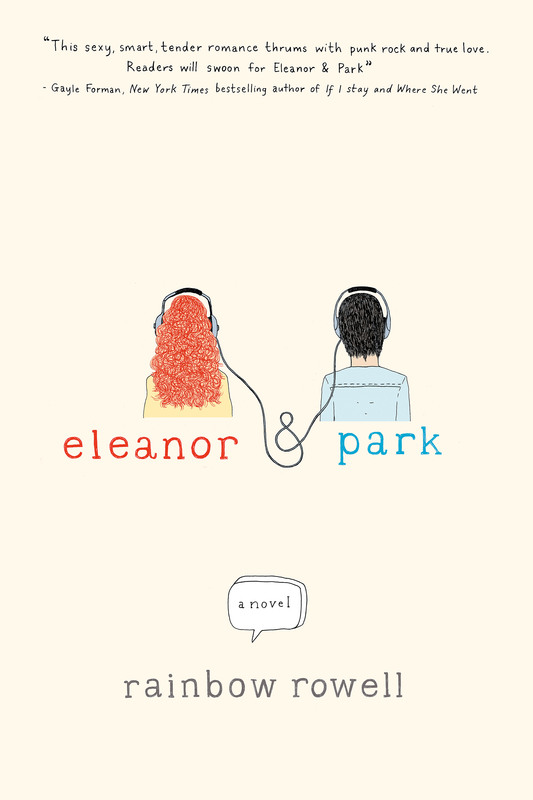 Self-image, reputation, bullying, self-esteem, domestic violence, and poverty are all issues Eleanor and Park must overcome. The ending is bittersweet, but at least the author doesn’t have the characters stab themselves in some overly dramatic fashion (Romeo and Juliet reference)! I loved this story. I can see why it has received so much positive attention. The Third Lie’s the Charm is the 3rd and final(?) book in The Liar Society series by Lisa and Laura Roecker. I have been a fan since book one. Free spirit Kate attends a co-ed prep school ruled by 2 mysterious societies: The Sisterhood and The Brotherhood. Kate blames them for the death of her best friend, Grace, and she is determined to make them both pay. In book 2, Kate successfully (though manipulated) destroys the Brotherhood, so book 3 begins with the Sisterhood in control of the school. These books are filled with mystery, romance, wit, and Latin. It’s a fun story. What if every day you woke up as a different person? Some days you are male…other days female…different races…different sizes…This is what happens to sixteen-year-old “A” on a daily basis. But one day he meets Rhiannon, and he falls in love. From then on, he uses “bodies” to make his way back to her. He makes a mistake in Nathan’s body, and Nathan knows that he has had “something” take over his body. Nathan blames Satan, thinking he was possessed by a demon. He emails “A” (who had accidently left his contact information on Nathan’s computer) and “A” must choose if he wants to take responsibility for his actions. If you are in the mood for an untraditional love story, then you will enjoy this novel by David Levithan. 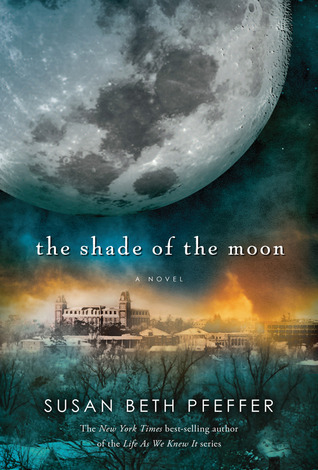 The Shade of the Moon is book 4 in the Life As We Knew It series by Susan Beth Pfeffer. The narrator in this novel is Jon, Laura’s youngest son (Miranda’s brother). I have to admit that I really dislike him for most of this book. He is weak, self-centered, and elitist. He has the advantage of living in the Enclave with the “clavers” even though he is classified as “slip” – he, Lisa, and Gabe “slipped” in with Alex’s passes that were meant for him and his 2 sisters. Clavers look down their noses at anyone who lives outside the enclave, and they refer to them as “grubbs.” Jon’s family are grubbs. Jon falls in love with Sarah, a claver who is sympathetic to grubbs. She views life idealistically and is hopeful for a “normal” future where everyone can be equal. Jon’s brother, Matt, learns about a new colony being developed that is based on equality called New Harmony. Ignite Me reveals Juliette’s metamorphosis into a strong leader who wants to take down The Reestablishment. Adam does not know or understand this girl anymore, but Warner does. Juliette is able to unite those left from Omega Point…those with the X-Men-style super powers with one main objective…Kill Anderson (Warner’s father and leader of The Reestablishment). David sees his father killed by the superhuman “epic,” Stealheart, and from that point forward David dedicates his life to studying the weaknesses of all epics – superhuman villains – and he ultimately plans to destroy Stealheart. David joins forces with the Reckoners whose objective is to kill epics. There are some surprises and twists at the end which was the book’s redeeming factor. This story has a lot of action and adventure, and even though I love super “heroes”…super “villains”…not so much. A former student of mine encouraged me to read this book, so I persevered for him. Even though there is action and the characters are likable, I was bored! Forgive me, Josh, and forgive me Stealheart fans, but I have to be honest!